Thank you for taking time to review our website. The reality of this moment is that it’s not every day that you will be making a Jewelry purchase. With that said, we are very thankful that you have taken time to explore us during this time, and we hope that we can make you a life-long satisfied customer. Since we started our business in 2004, we have heard so many customers tell us that they were thankful that there are Jewelers like us in the business who can offer both quality and low prices. This is our mission and our goal in everything that we do. We understand the importance of offering top quality service, honesty and have made friends with most all of our customers. Being on a first name basis with our customers is something we take pride in. However, we also know the importance of offering top qualities as well as qualities of all sorts, at the absolute best of prices. Since day one we have worked hard to be the number one source for goods in our markets. Having run an online/wholesale business for many years, we have sold thousands of beautiful and affordable arrangements that our customers tell us they only could have afforded through us, after searching and searching everywhere else. When we hear this, we know that we are doing something right and this lets us know that we are offering a valued service to our customers. Moving forward in our business, after years of selling to other resellers and store owners, we decided to take our business to the public. With the growth of the Internet and online sells taking away from retailers, we understand the importance of competitive pricing. It’s our goal to offer you online prices, in person. Having the suppliers that we do and as direct importers from Ramat-Gan, Israel, I know without question that we can do this as we do it in almost every sale that we make. Know that when you come into our store that we don’t just look at the local market to determine our pricing, but we look to the global market as a whole. Know that we are going to work hard to offer you the best price that you will find anywhere for what you’re looking for. 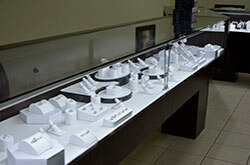 We hope that you will let us service your Diamond and Jewelry buying needs. Trust that when you work with us, that you will walk away happy with your purchase and happy with us. A large percentage of our business are repeat customers. It’s these customers that continue to come back that let us know that we are doing business right and we thank you if you are one of those customers. Come let us make your purchase a success. A little on the owners – Terry and Lisa Payton were born and raised in the area. Both have worked and lived in the area for most of their lives. In 2004, partnering with friends in Israel, they started their Diamond wholesale business and quickly grew the company into a multi-million dollar business. It’s with this success that they started Diamond Depot of Oxford in 2008. We give all of the glory to our Lord Jesus Christ and thank God for this wonderful community and amazing country that we live in. We hope that you will come by and visit with us and see for yourself how we can help you! Please know that we will work our hardest to supply you with whatever your Jewelry buying needs are, regardless of your budget. 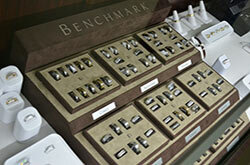 We offer all qualities, to include the highest qualities, at still the most affordable prices! Check with us before you make that final purchase and we guarantee you that you will be glad that you did!